Is your email list colder than–and about as old as–the Ice Age? Maybe you haven’t sent an email in several weeks (or months! ), or perhaps you’ve been inconsistent and haven’t had good open rates. Whatever the cause, your list has become a detached and impersonal ghost town… in the middle of winter. But, knowing a list is a vital aspect of growing your business, you’re ready to commit and want to warm things up and get people engaged. When faced with a chilly list, how can you be sure to follow the rules of email etiquette and avoid damaging the relationship with your prospects? Because the last thing you want to do is scare people off or, worse yet, have them flag your email as spam. So what’s the best way to re-engage people on your list after it’s been dormant for a while? 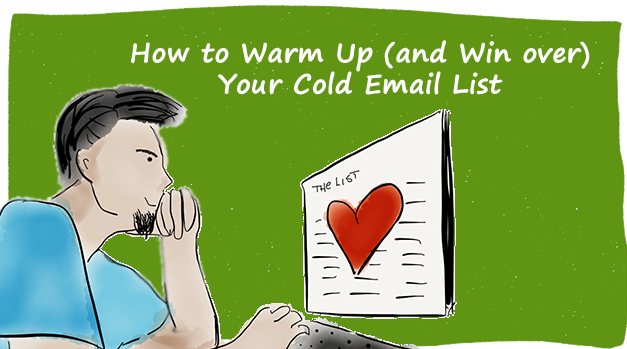 Below are a few strategies and ideas to consider when warming up a cold email list, and they’ve been used (and proven) many times over by people in all types of industries and across many topics. I’ve gathered some of the most important tips from numerous list builders, and have laid out some do’s and don’ts for implementing them. You won’t want to just assume that people on your list will remember you, so be sure to start off by refreshing their memories, and recap what makes your communications valuable. Give them a genuine greeting in a personal manner. Explain how you will add value to their lives/businesses. Tell them what you’ve been up to, but only if it’s cool (Sharing something you learned at a recent conference is a lot more relevant than your dog’s wedding last week, unless you’re in the pet industry). Reignite their interest by letting them know you’re about to share some really great stuff. “Hey [Reader], it’s your copywriter friend, Lindsey. 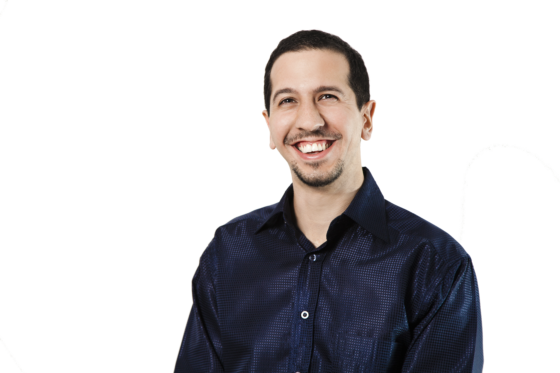 I’ve been busy the past few months really honing my skills and implementing new ways to boost conversions, and there are some crazy new methods that really make a difference! I can’t wait to share all the cool new info I’ve learned, and I *also* can’t wait to see how you can implement them into your own business copy QUICKLY, and experience equally fast results. Make the reintroduction long and painful. Keep it simple and concise. Waffle on about yourself or “sell” yourself. “Hey, [Reader], I know it’s been a long time since you’ve heard from me. I’m really sorry for the absence! I’ve had some health problems, and my Aunt Sally died. Then my friend got fired from her job and her husband is on disability, so they’re in a really tight bind right now, and needed some help. I’ve been busy with other stuff, too, so that’s why I’ve been gone for a while. Will you forgive me? I’m really really sorry! Things are pretty crazy in my life right now, and life can just be so challenging! There are bills to pay, and dishes to wash, and laundry to do, and appointments to keep, and shows to watch, and dogs to walk, and kids to feed, and all kinds of day-to-day things that get in the way. One of the quickest ways to re-engage the people on your list is to prove to them that you’re going to help them out. Whether you’re giving them tips and tricks, or providing entertainment with a purpose, you’ll show them why they’re going to look forward to opening your emails from now on. Be genuine about your desire to serve. Explain how the freebie will help them. Remind them that stuff like this is your specialty, and hint that there’s much more to come. Promise–and deliver–hot industry news and updates. Sell ANYTHING, whether it’s a product/service or yourself. Give them a crummy or misleading freebie. No eBooks that are 2-3 pages long. Label shorter ones (less than a dozen or so pages) as eBooklets, instead, and reserve the eBook title for works of longer length. Make them give you loads of info (Asking for their phone number, address, Social Security Number, what car they drive, and their favorite coffee is going overboard. Unless you need their address because you’re going to snail mail them something!). Make it difficult to get or download. You’ll want to tie things together by promising to deliver more valuable content, showing appreciation, and offering them instant access to the freebie with a clickable link. Make it as exciting and easy as possible to get them to follow through on whatever it is you’re asking them to do. 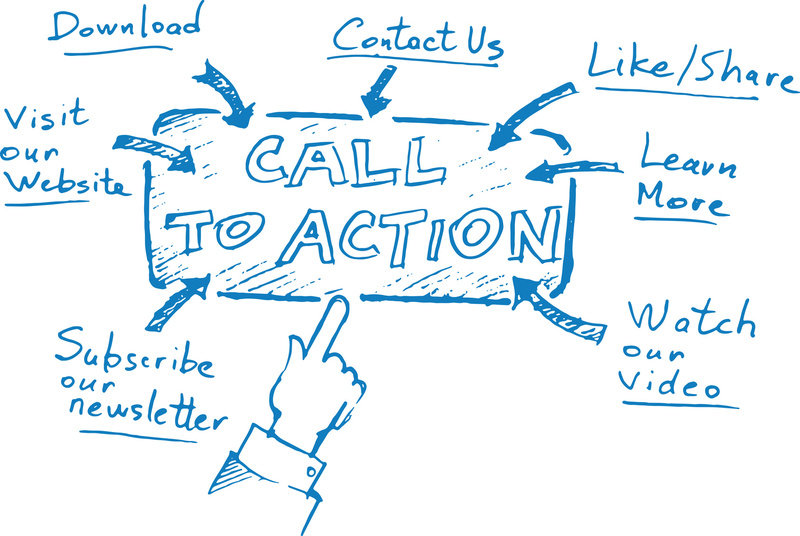 And be sure to keep in mind that a call to action doesn’t have to be huge. Something as simple as a, “Hit reply to let me know you got this!” or “Click this link to download your free eBook!” is all it takes. When signing off, let them know you’ll be in touch again soon, and sign off with a friendly goodbye. You also want to include subscription setting adjustments or unsubscribe links in a P.S. or similarly low-key place. You can personalize them to try and reclaim your subscriber one last time. Getting that initial email out is just the first step. If you’re going to go through the trouble of re-engaging your list, you’ll want to be sure to continue that engagement process in order to avoid damaging your reputation. Look at the big picture and plan ahead to get an idea of the content you’ll want to share, and if it can be broken down into a series. Plan and schedule other content and series based on certain topics. Reach out using a release schedule you can set up and maintain long-term. Email unpredictably. You’ll want to stay consistent in how often you release content, as well as when you release it. Immediately jump into asking favors or selling. Send content that’s all over the place and/or offers no value. Assume that if they stick around for the first few emails, they’ll stick around forever. In all your communications, you’ll want to be sure your content is well written, personable, and confident. Boost your credibility by delivering on promises and staying in touch. Make sure you’ve got a really strong subject line to increase your open rate. Don’t bombard the email with images, as they may slow loading time for some readers. Remind them of other channels they can check out to get in touch with you (Facebook, Twitter, etc.). If you’ve got a larger list, send in batches of 5,000 or less so that if people unsubscribe or mark you as spam, you’re less likely to be flagged by your mail service provider. Personally respond to every reply you get, as soon as you can. If your list is too large to do this, hire people to help. Final Step: Knock Their Socks off! You’ve now got an arsenal of information on how to go about winning over the affections of your list again, and I’m confident you’ll put it to great use to create the warmest, happiest, and most thriving following you’ve ever had! I’d love to know how many of you feel you’ve got a cold list, and how you’re thinking of re-engaging! So, dish it: how long has it been since you’ve reached out to your list consistently, and what is your plan of action? Thank you so much for this informative article. Can you tell me how can I collect emails from WordPress site? There are several great plugins and platforms for email collection and management, especially within the WordPress sphere. WordPress itself has many plugins you can use (here’s a link with a few: https://www.designbombs.com/best-email-list-building-plugins-wordpress/), and there are a lot of great platforms out there such as AWeber, ConvertKit, MailChimp, ActiveCampaign, and (many) more. After researching the different available options, I’m sure you’ll find one that’s just right for your needs. Thanks again for reading and commenting! Thank you so much @Lindsey for your kind reply. Surely, I’m gonna try your recommended plugins. Fantastic, Sadham! Let us know what you go with, and how you like it! Oh your post is deserving of far more attention, Lindsey. The topic of ahm… ‘dead email lists’ is a HUGE problem receiving little attention. 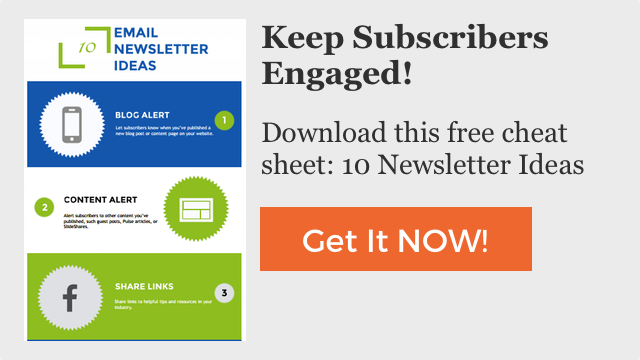 Thank You for addressing some key reasons for lack of engagement with subscribers. Going off to get more traffic and persuade more subscribers with an awesome optin doesn’t address a tough engagement problem. I’ve taken notes for some of your superb ideas – learn ways to write warm, personalized emails, send a video with you in it -even part of it, research HIGH value you could offer, express gratitude, regularly. Hi Keri! Thank you so much for the comment and very kind words! I agree that dead lists might be a bigger issue than some of us want to admit, as it’s a lot easier to keep our skeletons in the closet, haha! But the unfortunate truth is that there are a lot of people out there who feel isolated because of a chilly list, mainly because there’s way more exposure of all the super stars who are crushing it. And – like you pointed out – having a killer opt-in won’t guarantee you an engaged following. Awesome post! I’m going to take your advice Lindsey and implement these tips, thanks for sharing! Hey, Lindsey, great post and great tips! I really need to reconnect with my list soon and these are some wonderful ideas on doing it right… I especially like the tip to give something of value to remind people why they signed up and to make them look forward to more. Hello, Antoniya! Thanks for the comment and feedback! I’m so glad that you’ve got some ideas on how to reconnect to your list, now, and I’m so glad the post was helpful. 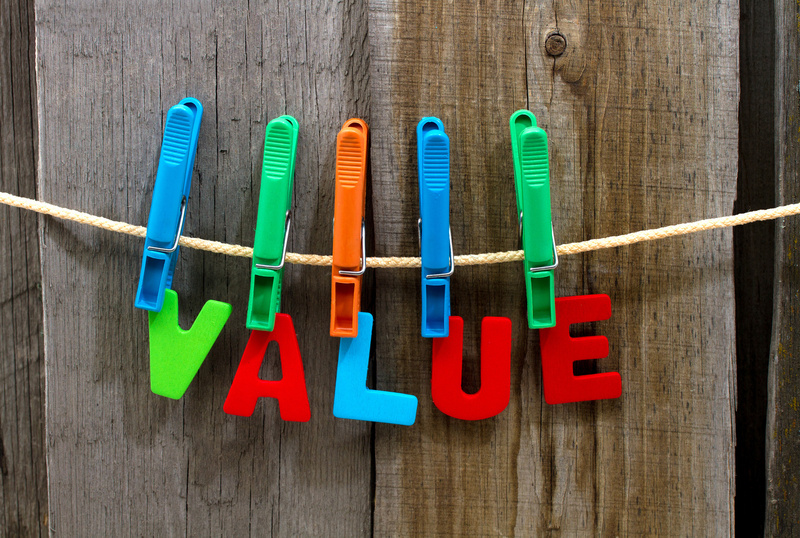 Value is so important in maintaining good relationships with your list and customers/clients, so it’s always a great idea to keep showing them how valuable you are! This couldn’t have come at a better time, Lindsey. I’m working on my freebie right now so I can reconnect with my email subscribers by offering them something valuable. Crossing my fingers that they like it! I’m glad the post came at a good time for you, and I hope it’s helpful as you reach out to your list with the freebie you’re working on. I’m sure it’ll be chock full of value, and will be a great hit! This is such a well written post on re-engaging with list subscribers. Your suggestions and the way this post was organized made it insightful and easy to read. Cynda!! Hi! Thank you so much for reading and sweet comments – I really appreciate the feedback. 🙂 I hope you’re doing well, and would love to hear more from you! Glad to read your wonderful post! It is really fully loaded with incredible information regarding email list. You have shared amazing tricks for its enhancement and absolutely sounds effective in nature. Exactly, i expect such beneficial facts regarding email list and you have presented for us in very effective manner. You have added fantastic points in Do and Don’t, this is absolutely appreciable and I’m really going to implement them. Mostly i loved call to action segment it is genius. Eventually, thanks for sharing your worthy thought with us. Hi Amar! Thank you so much for the wonderful comment and kind words! I’m so glad you found it helpful! Hi Lindsay. This came at just the right time for me . I recently realized that I had not sent out my Inner Answers news letter for nearly a year ! ( mainly due to the fact I have been too addictively focused on doing online courses for the last 18 months) . I sent it out again last week and your blog has arrived at the perfect time to give me the guidelines I need to learn how to continue doing it regularly again and make it a success. Thanks so much . Hello, Mary! Congrats on getting your newsletter rolling again, and I’m really glad you found this helpful. Here’s to a great 2017 full of Inner Answers newsletters and lots of engaged readers! Thank you for your input! Perfect timing for me. Thanks, Lindsey… OMG, that Hubspot video is so good 🙂 I need to get with the game plan for my newsletter. I plead guilty to be totally unpredictable and sparse. What can I say? I vow to change immediately.